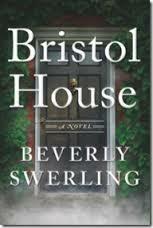 Bristol House by Beverly Swerling Giveaway Package! The publisher is offering a really fun giveaway for this book open to US residents (no PO boxes). About the Book: Architectural historian Annie Kendall arrives in London on an assignment from the Shalom Foundation concerning ancient artifacts from the Holy Land. Annie is determined to leave her heavy emotional baggage behind and find professional redemption by discovering the truth about the mysterious Jew of Holborn, who in 1535 apparently had access to a trove of ancient Judaica. Annie sublets an old fashioned flat in a building called Bristol House, containing a tiny back bedroom which becomes the source of extraordinary phenomena involving a long dead Carthusian monk. Tormented by the notion that because she's a recovering alcoholic she may be hallucinating, Annie resolves to ignore these strange visitations from the past. Until she meets Geoffrey Harris who is not only a well known TV personality, but the spitting image of the Bristol House ghost. Annie begins searching for the connection to the Jew of Holborn, the ghost monk, and the mysterious motivations of her obsessed employer. Leaping back to the 1530s, the dark cloud of religious persecution hangs over a very different London. The Jew of Holborn, a goldsmith, and Dom Justin, a Carthusian monk with questionable allegiances, tell their story from “the Waiting Place,” as they try to untangle a sixteenth century knot with enormous twenty-first century implications. The Giveaway includes: a Bristol House gift bag, a Keep Calm and Carry On bookmark, a bar of lavender soap, Twinings English Tea, candy, and a copy of the book. This giveaway will be open until April 22, 2013 at midnight. To enter, just fill out the form below! Winner will be contacted via email.